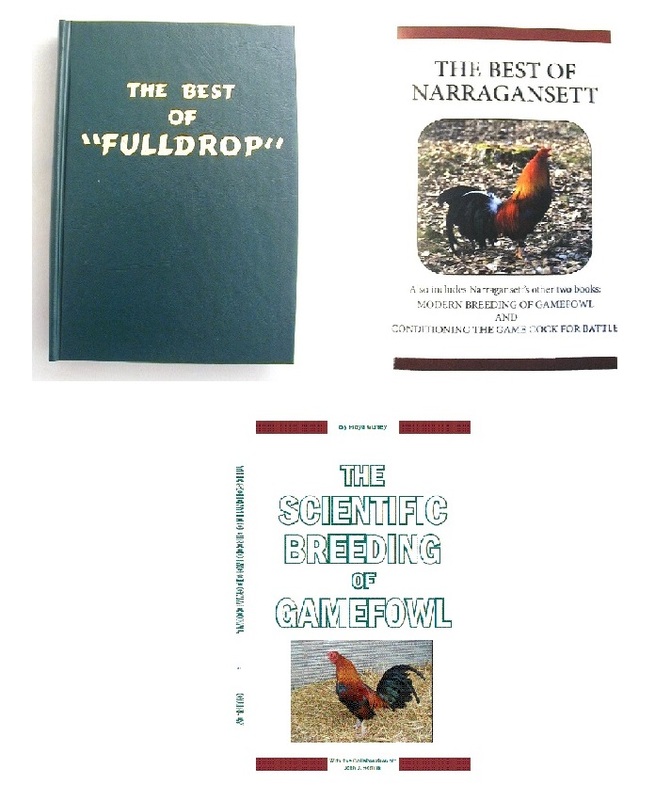 Package Deal (15% off).The Best of Fulldrop, the Best of Narragansett, and the Scientific Breeding of Gamefowl books. Some of the best reading in gamefowl books available from Frank Shy, Ed Piper, and Floyd Gurley. All three men were well known cockers of their time. Ed Piper (aka Fulldrop) also owned the Feathered Warrior magazine, and one of the most famous of pits in the late 1950's / early 60's, the Oaklawn Pit in Hot Springs, Arkansas, where some of the top names in cocking competed.